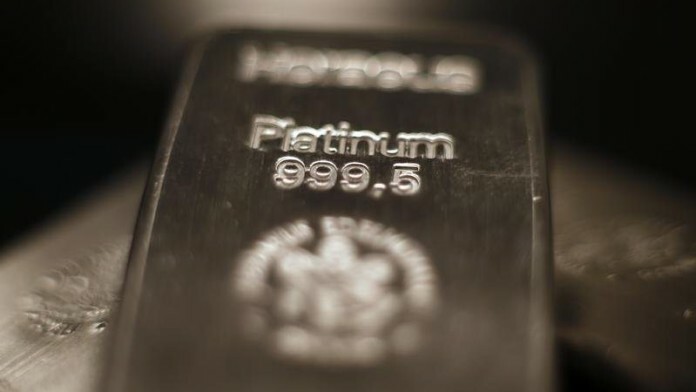 ROYAL Bafokeng Platinum (RBPlat) nudged down the top end of its full-year platinum group metal (PGM) production for its 2018 financial year to no more than 280,000 ounces with the low end of guidance staying at 370,000 oz. Commenting in its third quarter production update – in which the company produced 102,400 oz of PGMs (4E) – it said total milled ore would be between 3.35 million tonnes (Mt) and 3.45Mt at a 4E built-up head grade of between 3.95 grams/tonne to 4g/t. However, operating costs would be kept at below inflation rates, it said. This was despite having to absorb above inflation wage increases, some of which was offset by cost-saving initiatives. During the period, the company also said it had commissioned the Maseve concentrator, process facilities purchased in a $70m deal from Platinum Group Metals earlier this year. A total of 141,000 tonnes of ore from Styldrift was treated through Maseve in the third quarter, RBPlat said. “The concentrator is operating well and achieving designed throughput and recovery efficiencies,” it said. RBPlat produces PGM from its Bafokeng Rasimone Platinum Mine (BRPM) but it is also close to commissioning of the Styldrift expansion. Capital expenditure on Styldrift in the three month period totalled R877m taking total project capital expenditure for the company to date of R10.6bn. Styldrift is expected to absorb a total of R11.6bn in total capex. Although it made no mention of the markets, RBPlat is expected to be in a better place owing to the deterioration of the rand against the dollar. Commenting earlier today on its third quarter numbers, Lonmin said the rand price for the basket of PGMs was 25.5% higher in the quarter year-on-year. RBPlat has been busy shoring up its balance sheet this year. On September 27, it raised about R240m following a sale of approximately 9.79 million shares through a book-build programme. The completion of the book-build follows an earlier announcement that it had secured a R1bn increase in its lending facilities, taking credit to R3bn. “Total capital expenditure for the year is estimated to be R3.1bn with stay in business expenditure forecast to remain at 4% to 5% of operating cost,” the company said in its quarterly update. Shares in the company edged down just under a percent on the Johannesburg Stock Exchange, but the firm’s refinancing efforts, and the fact its restructuring of the last 12 months was at an end has seen a revival in its valuation. On a year-to-date basis, the company’s share price is roughly flat after falling to an all-time low in June. “When people are losing their jobs it is a big problem,” said Steve Phiri, CEO of RBPlat when the company reported interim numbers in August “But we don’t have any plans for any more retrenchments. I’d never say never, but there’s no Section 189 (Labour Relations Act provision that allows for consultations ahead of restructuring) planned. So we are not worried, but we are not complacent either,” he said.